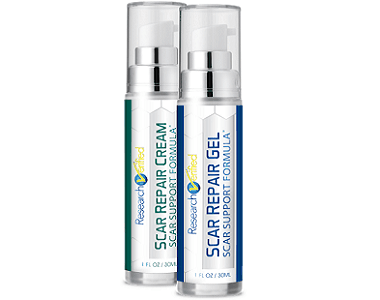 The below product review for InviCible Scars will bring you all the real facts. The manufacturer claims that this product is a makeup primer and an anti-aging cream that can help to improve the appearance of scars from surgery, acne, burns and skin injuries. It is further claimed that this is a safe product that has not been tested on animals. Silicone – plays a role in the formation of bone and collagen. Vitamin C – required for many correct body functions such as skin and immune system. Sunflower Seed Oil – can be used as a massage oil and to help with skin conditions. Safflower Seed Oil – has many health benefits although research fails to explain any benefits for skin health. Aloe Leaf Extract – can be used to soften and heal the skin. Licorice Extract – may relieve itching and inflammation caused by skin conditions such as eczema. How Do You Use InviCible Scars? It is recommended on the product label that you should massage the cream onto the affected areas of your skin two or three times daily after the initial wound has healed. It is cautioned by the manufacturer that this product should be kept away from children and that it is strictly intended for external use. If you experience any adverse reactions, it is advised that you should rather discontinue use immediately. You can purchase this product online through third-party retailers only and the manufacturer has provided a link to Amazon where it is listed at $27.54 for 28 ml. There appear to be no discounted options offered which is disappointing especially because this is a noticeably pricey option in comparison to most skin care products. After a thorough inspection of the manufacturer’s website and this products website page, we found no money back guarantee or refund policy for this product. It is most concerning that this product has not been backed by a guarantee because this indicates that the manufacturer is probably not completely confident about the claimed effective results. 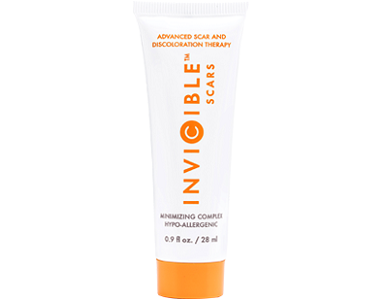 InviCible Scars might be viewed as an ok product because it does have some good ingredients that could be beneficial for the health of your skin and it also has some good customer reviews. When taking into account that this product may cause allergic reactions based on the ingredients used and it is also not exactly an affordable product that has no manufacturer’s guarantee to ensure you a risk-free purchase and therefore, it might be a waste of money. In conclusion, you may want to consider that there are other similar products that are available from leading brands which would prove to be far more suitable, affordable and effective.